E F Bishop Agency Inc.
No matter how defensive your driving, there's no accounting for the behavior of every motorist on the road, especially when you're caught in the midst of the worst of the daily rush hour traffic. The advantages of the On Your Side® Claims Serviceare there whenever you need to make a claim, just one reason why Nationwide has earned a 95% member satisfaction rating. Whether you have a quick question about your chosen claim limits or you've heard about Nationwide's Vanishing Deductible® program and want to know more, our Providence auto insurance agents are an incredible resource for information and easy, personalized insurance tips. In a large city like Providence, there are an endless combination of housing plans and household belongings that need the protection of a homeowners policy and personalized coverage with Nationwide. 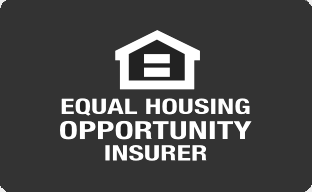 Some coverage protections are standard, but extra dwellings, liability, and flood insurance are just a few of the supplemental coverage options used by other local homeowners. From the city center to the most remote suburbs, our Providence home insurance agents can help customize your coverage options. There's a lot of life to live in a big city like Providence. But when it comes to life insurance coverage, it really helps put the essentials into focus. You want to know that your loved ones are going to be cared for if something should happen to you. You want to know that there's not going to be a huge financial burden if a family member is diagnosed with a chronic illness that requires daily, long-term care. You want to know that you have one more egg in the nest for retirement savings. Talk to one of our Providence life insurance agents about the right policy for your household. The basic types of business insurance coverage parallel the ways in which the Providence economy has evolved over the years. Since the city's founding, local businesses have looked for ways to insure their building and other property assets. Liability coverage wasn't far behind. Eventually, vehicle and fleet insurance became a common coverage need, while the potential causes of operating loss seem greater than ever before. No matter what types of risk your company faces, let one of our Providence business insurance agents serve as your Nationwide risk management specialist.